L. Slesman is a researcher and social statistician at the Centre for Advanced Research (CARe). 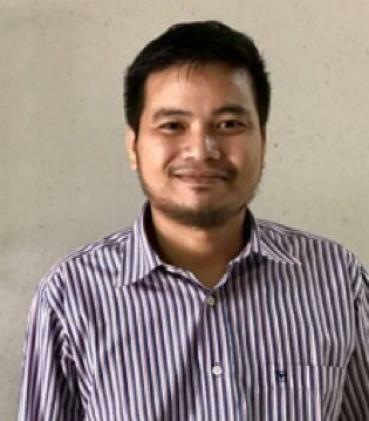 Prior to joining CARe, he was a senior lecturer at the Department of Economics, Faculty of Economics and Management (FEP), Universiti Putra Malaysia (UPM), where he had taught econometrics and economic courses. Political Economy of Development Process; Linear and Nonlinear Relationships among Formal Institutions/Governance, Informal/Social Institutions, Capital Flows, Foreign Aid, Financial Development, Conflicts, Socio-economic Development, Poverty, and Resource Rents; Applied Econometrics/Regression Analysis, Panel Data Econometrics/Regression Analysis and Macroeconomics. Capital Inflows and Economic Growth: Does the Role of Institutions Matter? Abdlaziz, R. A., Naseem, N. A. M., & Slesman, L. (2018). Dutch Disease Effect of Oil Price on Agriculture Sector: Evidence from Panel Cointegration of Oil Exporting Countries. International Journal of Energy Economics and Policy, 8(5), 241-250. Slesman, L., Naseem, N.A.M., & Aldomi, R.F.M. (2017). Economic Freedom, Real Exchange Rate and Economic Growth in Emerging Markets and Developing Countries. International Journal of Economics and Management. 11 (S3), 641 – 659. Baharumshah, A.Z., Slesman, L., & Devadason, E.S. (2017). Types of Foreign Capital Inflows and economic Growth: New Evidence on Role of Financial Markets. Journal of International Development. 29(6), 768-789. Slesman, L., Baharumshah, A.Z., & Ra’ees, W. (2015). Institutional Infrastructure and Economic Growth in Member Countries of the Organization of Islamic Cooperation (OIC). Economic Modelling, 51(December), 214-226. Slesman, L., Baharumshah, A.Z., & Wohar, M.E. (2015). Foreign Capital Inflows and Economic Growth: Does the Role of Institutions Matter? International Journal of Finance & Economics. 20(3), 253-275. Baharumshah, A.Z., Slesman, L., & Wohar, M.E. (2016). Inflation, Inflation Uncertainty, and Economic Growth in Emerging and Developing Countries: Panel Data Evidence. Economic Systems. 40(4), 638-657.